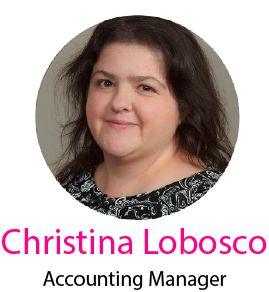 Christina Lobosco joined SSCG in 2015, bringing with her 20 years of accounting experience. She is responsible for review of all financial statements for our management clients, overseeing the accounting staff, and assisting in the compilation of all financial data for feasibility studies. In addition to managing the accounting team at SSCG, she is pursuing a MS in Accountancy with an emphasis in Forensic Accounting.